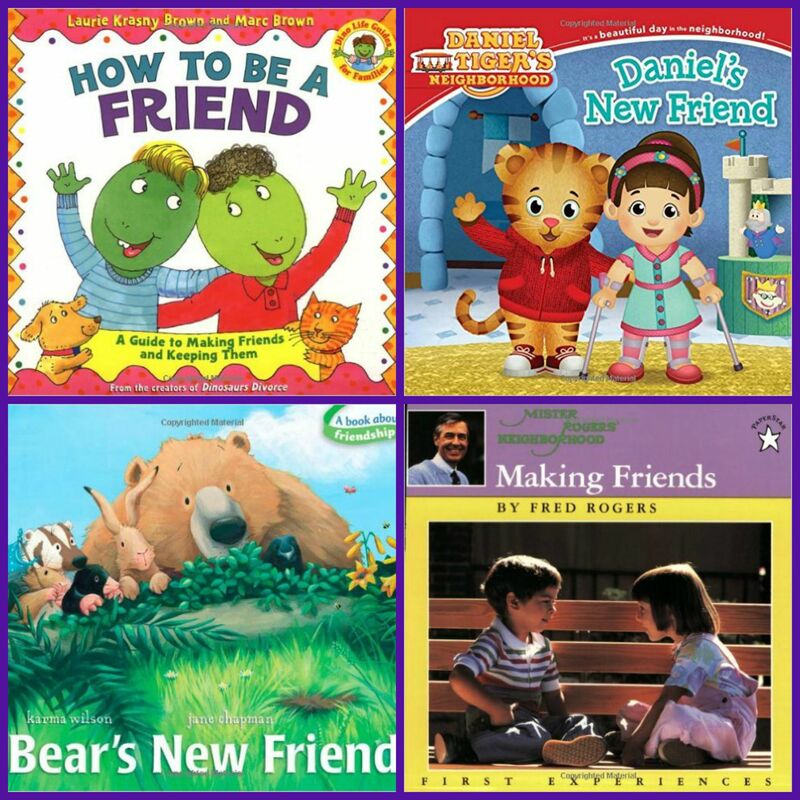 This week, The Early Childhood Education Team is offering tips and suggestions for MAKING FRIENDS in preschool! As an educator, I’ve had many conversations over the years with parents of children who are concerned their child may not know how (or are scared) to make friends with others. With a few suggestions and helpful advice, parents can encourage and guide their children to develop early friendships with peers. Outside of immediate family, neighborhood children and families have long been a source of early friendships and play. Neighborhood play has declined over many decades for reasons that are beyond the scope of this particular post. However, with that decline, participation in structured play groups, childcare, community activities, and organized preschool have become avenues to help young children develop social skills and emotional intelligence. While all of those settings are influential, even crucial, to healthy development, parents are still a young child’s FIRST resource for learning appropriate skills for social interactions. 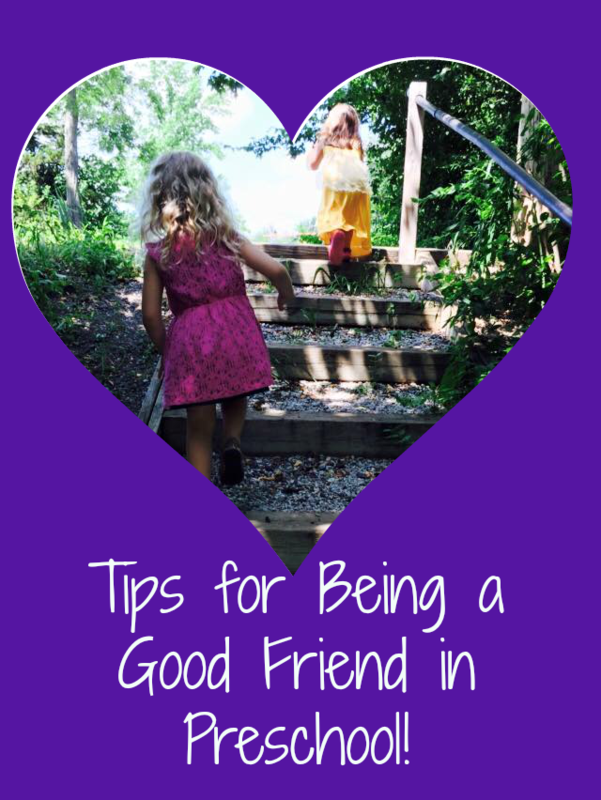 To help young kids have a successful start, the tips below can assist parents in preparing preschoolers to BE a good friend at home, in the classroom, in the neighborhood, or in the larger community. Positive Family Relationships: Family is the first practice young children have at positive interactions with others. How children play with others in their family is an indicator of how they will play with friends. Siblings sometimes play differently than friends do, but some of the early communication patterns will remain the same. Observe children playing for clues on aspects of communication that may need improvement. Encourage family communication to resolve problems, encourage fairness and taking turns, promote positive attitudes, and to plan play time for the whole family so children can practice manners, try new things, and refine developing skills for good sportsmanship. Introductions: Role play with children who are fearful of meeting new kids. Invite your child to practice introducing himself and asking other family members or familiar children to play. Through role play, young children will gain confidence and the skills necessary to approach other children and ask them to play. Qualities of a Good Friend: Explore characteristics of a good friend with your child. The passage, “Do unto others as you would have them do unto you” is still a great guideline. It is easier to gain friendships when a child exhibits qualities that make a good friend. 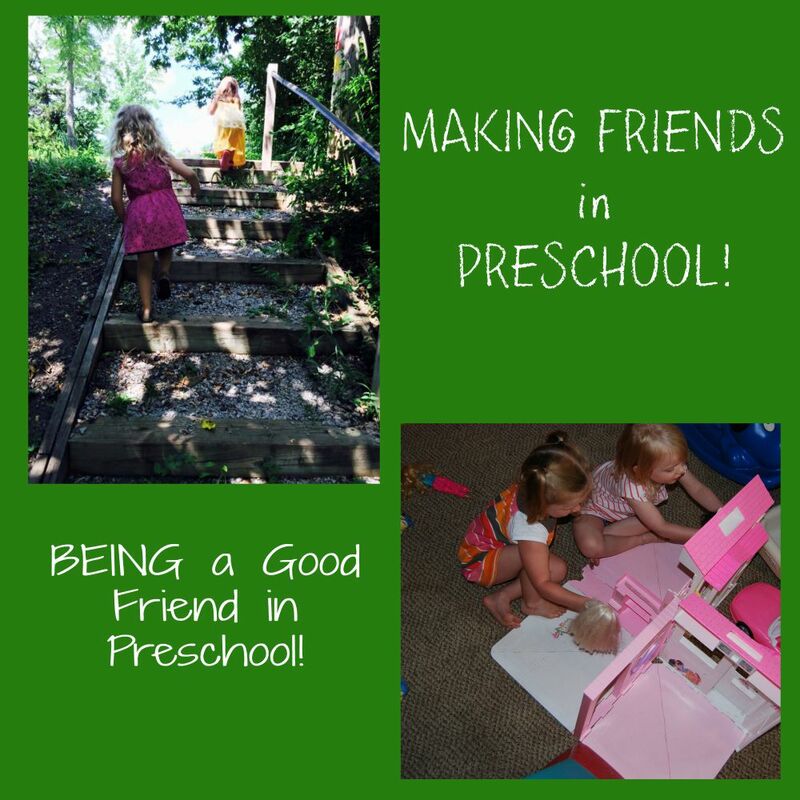 Simple expectations for preschool friendships are: be kind with your mouth and your body, be helpful and honest, take turns and be fair, tell about hurtful or dangerous situations with friends, but don’t tattle, and allow others an opportunity to choose what they want to play. Look for Common Interests: share with your children some visual clues they might look for at school (or in other social settings) to find a friend that may have similar interests. Backpack characters, decorations on folders, characters or logos on clothing (if a dress code is not in force), and games that other children like to play are all good clues. Remind children that by listening to their peers and observing, they will gain valuable information about what other children like. Those clues will give a child something of value to ask another child about. We ALL enjoy talking about the things we LIKE – preschoolers do, too! 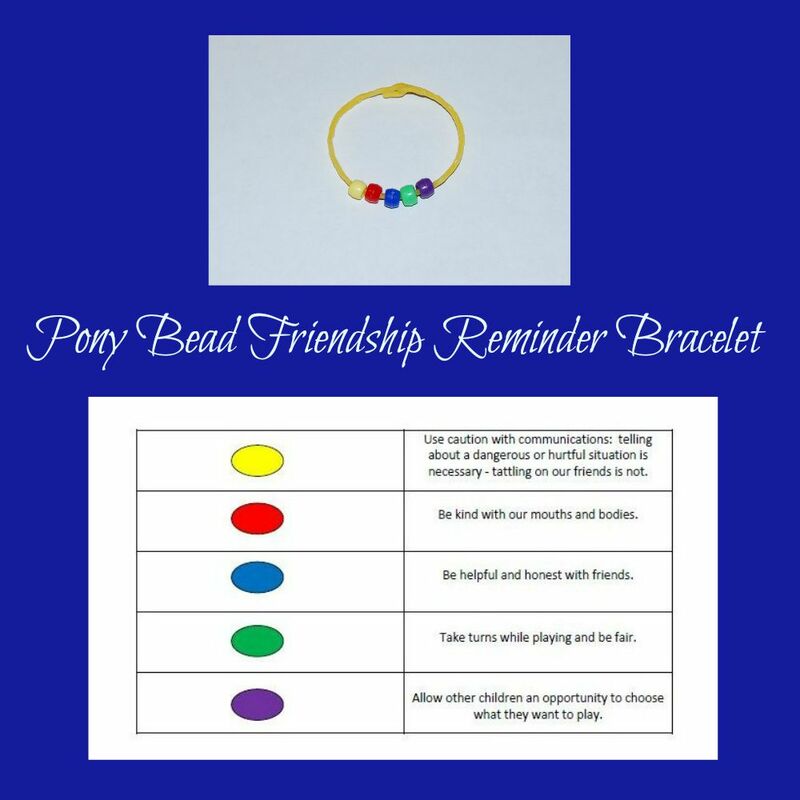 DIRECTIONS: Invite the kids to make a friendship pony bead craft. Print the Qualities of a Good Friend PDF file (linked above) and review with the children. Have the children place the corresponding color of pony bead on a piece of string or yarn as each quality is discussed. The bracelet or chain can be worn or made into a backpack zipper pull (simply add a key ring to the string or yarn) to serve as a reminder to always BE a good friend to other children. **Please supervise young children who still mouth objects carefully as pony beads can be a choking hazard. For MORE Tips, Tricks, and Activities for Helping Preschoolers Make (and BE) a Good Friend, please visit other articles by the #TeachECE Team! « Back to School Tips for Parents PLUS Printable Morning Chart! We are off to practice introductions today! My 5 year old always gets nervous and tucks his chin so no one can hear what he has to say! We are working on getting him to keep eye contact. Using children’s books to talk about friends is a great idea! I really want to peek inside that Mr. Rogers book! What a classic! We LOVE Daniel Tiger as a role model for quality friendships! Great ideas! That is really fun that you used symbolism with the friendship bracelet. I love that you are sharing a free printable in case they forget what each bead represents. Thank you! Great tips! The bracelet is a neat way to remind kids about the qualities of a good friend! Yes, we are still working on introductions here at home (my son gets a bit shy and doesn’t know what he should say)! I like that you included a bead on the bracelet about letting friends decide what they want to play. That’s a skill we really work on in my preschool class! The friendship reminder bracelet idea is so neat. great suggestions! and we love the bear book!